RCIA (Rite of Christian initiation of Adults) is the process for any adult seeking to be fully received into the Catholic Church. This can be someone who has never been baptized in any faith community, a person baptized in another Christian community and is seeking to be confirmed Catholic. It is also for someone who has fallen away from the Catholic Church either as a child or adult and wishes to return to their Catholic roots. Sessions are held weekly from mid September through Easter. Contact Deacon Michael Vander Bloomen for further information. RCIA 2016: From left to right, Catechumen, Danielle Perszyk, Candidates, Griffin Wendt & Hailey Lestrud. 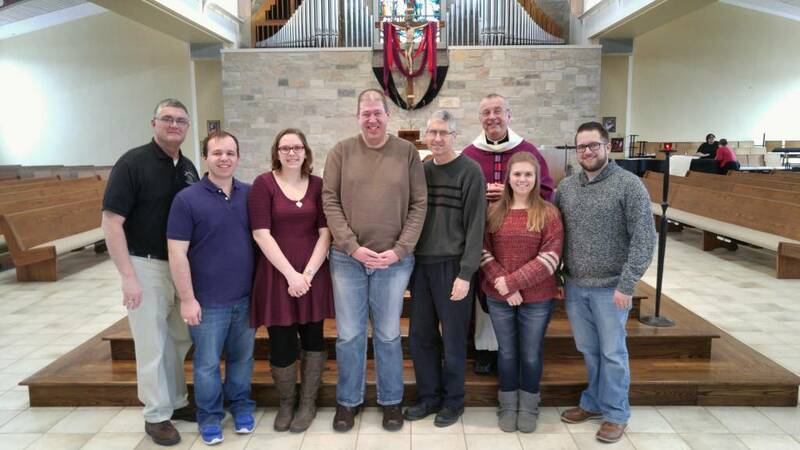 RCIA 2016: Left to right: Deacon Michael Vander Bloomen, Jordan Henkel (sponsor) Danielle Perszyk, Griffin Wendt, Jim Crabb (sponsor), Fr. 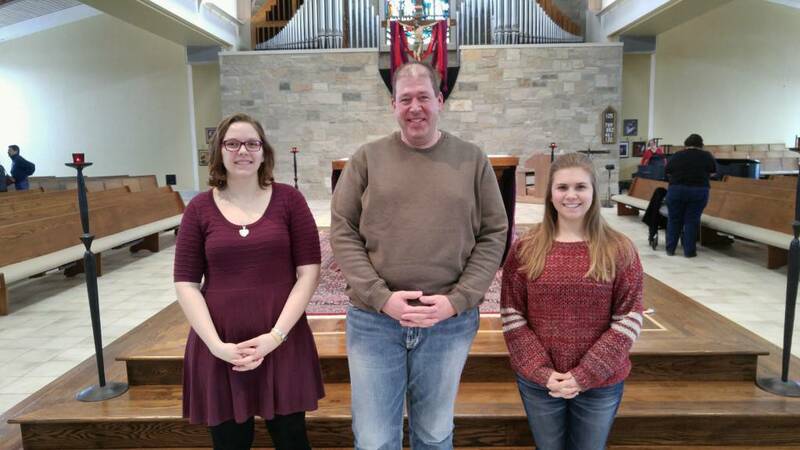 Tim Shillcox (pastor), Hailey Lestrud & Ben Cahall (sponsor).